We are a small family farm located within the city of Fountain, Colorado producing all-natural organically raised produce & eggs for our local community. We have lived in Fountain, Colorado since the Army stationed us here in 2005. When we left active duty in 2009 we decided that we loved the Colorado Springs area and this was where we wanted to stay and raise our family. In 2011 we bought a small 5 acre property in Fountain with the intent of having more space and one day hoping to do something where we could work for ourselves. Those two things came together and we decided to start a small farm on our property. So, Little Roman Farm was born January 1st 2015. We have gardened for ourselves since childhood, and love the peace that working the earth elicits. We support and stand for organic and sustainable practices and are excited to be a part of the local food movement! 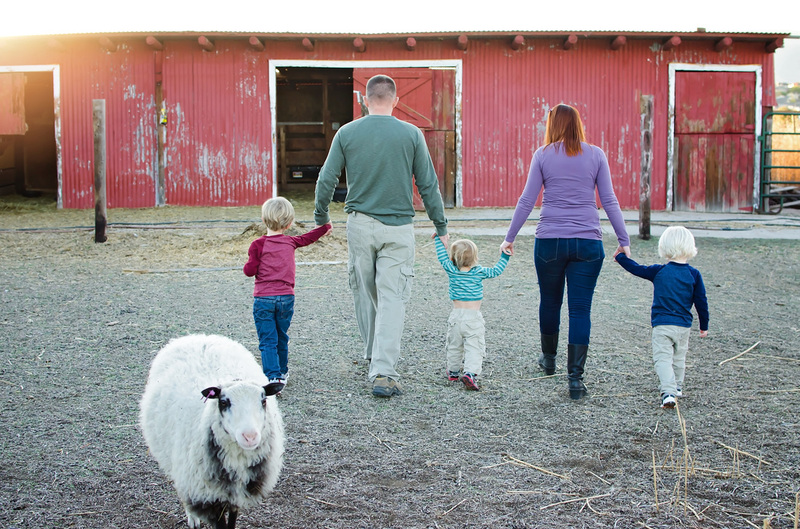 We grow fruits and vegetables, keep chickens, ducks, and quail for eggs, and raise sheep for lambs and wool. Little Roman Farm endeavors to utilize only all-natural, pesticide-free, bio-dynamic, beyond organic methods of production. We would rather lose a crop than sacrifice those ideals. Whereas organic standards permit certain chemicals to be applied as fertilizer, amendments, or pesticides, we reject the notion that such artificial additives are required for successful cultivation of crops.